The autobiography is not strictly established genre. This story about yourself in free form. The autobiography may be useful to a person for admission to the University or to work. It describes the main stages of the human life. The volume of the autobiography is compressed from a half sheet, and further to several dozen pages. Some faculties require creative autobiography in literary form. Specify your surname, name and patronymic, write the year and place of birth. Can specify the address at which you are registered at the moment. If you are required a literary autobiography, you can start with a small story about the place where you were born. Maybe this place has some legends or notable events in the history of the country. Remember them, do you feel a connection with them, with a place in which you were born. Write a few words about their parents. In a conventional autobiography (more like summary) this is not required, but literature would not be amiss to mention parents. Especially if they are also connected with the case, which you want to study. You might be the future representative of the labor dynasty. It's worth mentioning. Be original, especially if you go on creative specialty. At least don't start your biography with "I was born...". For example, list first few events that happened in the world in the day of your birth. Who of interesting people born with you in one day? Why do you think the day of his birth is not accidental? Think about it. Get the scoop on your family tree, maybe you can find a lot of interesting facts about the history of his family. And for host your documents people it will characterize you as a person interested in their roots. Be sure to write a little bit about your character. Here, too, be original. Do not limit yourself to a simple listing of the different qualities of your personality. You can take each one and analyze what it brings you. For example, "Since childhood I was very restless, so, I guess I never came out of the pianist. Music school I visited twice. The first time passed the entrance exam. Second - when me for my absences together with her mother was summoned to the Director. Mom was upset, and I finally played football..."
In order to create a good literary autobiography, imagine that you write a short story about his life. Remember more the funny and bright moments of my childhood. Keep a confident, ironic tone. Kidding. Your autobiography should be read as a fascinating story, and not as an ordinary boring summary. Marshall the facts of the biography so that they lead the reader to the fact that the only option was admission to the faculty. Let the reader of the autobiography will understand that a man with such a way of thinking, living mind, sense of humor, self-irony need to study in this University and nowhere else. Create in his autobiography an attractive image of yourself. Admission should be fascinated and intrigued by your personality. Do not turn an autobiography into a dry statement of facts. Especially if you go the University. Avoid tediousness, bombast, pretentious philosophical tone. State is easy, use the-irony. For the reader of your autobiography you must appear like a smart, unobtrusive, but a serious source. About itself to speak difficult, when people try to talk seriously - it can become unbearably boring. Be easier and more fun. Don't forget to say a few words about why you come to this faculty. If it's creative University, specify which creative projects would you like to implement in the course of the study. If you're studying to be a theater Director, list of playwrights that inspire you with their works. If you are a future actor, list of actors who you consider masters of their craft, etc. Check in advance in admissions, and in what form you want to provide curriculum vitae. 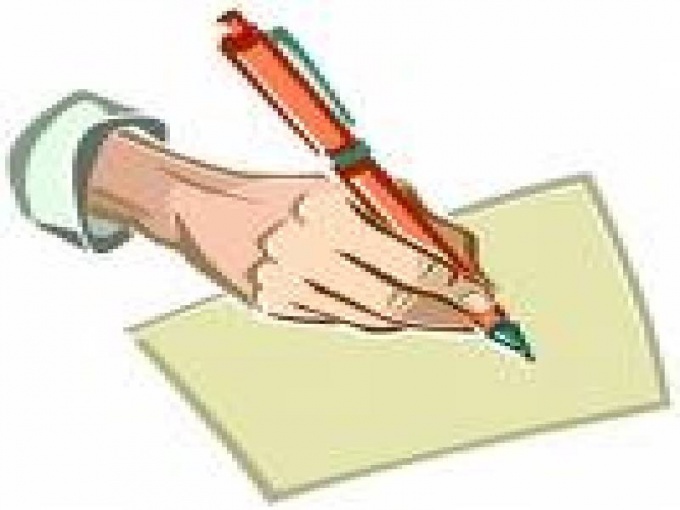 If you want strict form, write as would summary. Present only the facts and dates. In literary autobiography, it is appropriate to use comparisons, epithets, metaphors, vivid poetic images, etc. The autobiography is compiled independently, in any form. But often we don't know where to start when writing about myself. What to tell, what to pay attention to what will matter for the paper, which will be required in the military? It would seem that we all know about ourselves, and that's enough. But sometimes we need to tell about yourself to others. When this is happening? For example, when you get a job, go to any institution or to write about themselves for the recruiting office. What to tell about yourself in the biography to provide in the military? First of all, in any autobiography, you need to specify the surname, name, patronymic, date and place of birth. For example: "I, Ivanov Peter Sergeyevich, was born in 02.02.1982 year in the city of Samara". Then you need to specify information about your family (parents, brothers and sisters). For example: "My parents have higher education. They are constantly working on the defense of the state enterprise. Our family is large (three children). I have two minor brothers". If the parents are disabled, retired or participants of military actions, write about it. In 1989 he enrolled in grade 1 of MOU SOSH № 21 g. o. Samara, where he studied for 11 years. Is to point out the success while learning to celebrate your participation in the Olympiads, sports competitions, report sections you've visited. Please note when compiling his autobiography on priorities in academic disciplines (what subject in school seemed particularly interesting) and your achievements. If you have the title of candidate master of sports or judo belt, etc., mark this. For example: "while learning in school, especially fond of sports, participated in competitions on the city level, field collecting, occupied prize-winning place (specify what and when)". In his autobiography, you need to tell us about your relationship with the team during training, that you are a peaceful person, easy to tie Dating new people (to adapt to society), or Vice versa. If after graduation, you have continued to study, please indicate this. Don't forget to mention in his autobiography in any situation related to your health condition (if any). For example, you had surgery, injuries or. If you graduated a driving school and have the right to specify (do not forget to tell category). Perhaps you have a culinary education (school, courses), note that in the autobiography. Write if you have police was not whether you are on the register of the inspector on Affairs of minors in school, and whether you have any bad habits. You can communicate your preferences. For example: "I'm interested in technology, you know the structure of the machine, you can troubleshoot the car."